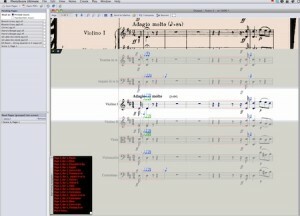 Sibelius 6 is far and away best-of-breed as the gold standard of music notation software. The main review examines this latest version, its strengths and what makes it so successful. But the resources to which most users will want to turn have musch to recommend them as well. PhotoScore Lite comes with Sibelius 6. It’s a great taster of what this truly amazing product can do. But the Ultimate version is even more impressive. OCR (Optical Character Recognition) has had a mixed past. Indeed, it can still be a huge disappointment… misreads, smudges converted to apparently valid objects, objects missed, layouts garbled. PhotoScore Ultimate 6 is the exact opposite. It converts paper scores into score files for importing into Sibelius (or, for that matter) otherwise working on and with. And it does so exceptionally well. Although the interface is a little un-Mac like in places, Neuratron can be forgiven for that since the process of scanning in a huge variety of printed scores and rendering them very accurately (with 100% accuracy in some cases under test) in digital form works very well indeed. PhotoScore Ultimate 6 dealt almost impeccably with everything thrown at it for this evaluation, from a set of pages from a pristine score by a contemporary composer (George Benjamin) who had actually used Sibelius to write his music in the first place to dog-eared pocket scores from the nineteenth century! What’s more, literally no setup was needed during this evaluation to enable PhotoScore Ultimate to connect with the hardware used (a rather older Canon 8400 flatbed). In fact a simpler, monochrome scanner might actually – with its rudimentary range of settings – outperform a photo-scanner; you certainly do not need the latter. You should certainly scan at a low resolution; 200-300 dpi is best. Once scanning begins, there is a series of helpful, informative feedback messages alerting you to the stage in scanning and conversion that PhotoScore has reached. A page page is ready in less than a minute. PhotoScore is rather conservative in informing you of what it thinks are possible read errors. And makes correction and editing easy and transparent. But it’s not just the printed page that PhotoScore converts exceedingly well. You can use a graphics file in BMP, TIFF, PDF etc format as well. When you are using a scanner, if results should not be perfect, or are actually close enough that only a few minutes’ correction in Sibelius are needed, then there are ways to “prompt” PhotoScore into finding its way around, and – crucially – to aid it by indicating how many staves there are and where to find them in the image. If all else fails, Rescanning is simple. It’s truly a very well thought-out piece of software. PhotoScore (Lite or Ultimate) can be run as a standalone application and/or launched directly from within Sibelius, where it appears in the File Menu. Once your score is scanned in, it’s ready to use in Sibelius. A nicely-proportioned editor is available for you to move around the scan, edit it, correct and otherwise annotate it. It shows the ‘raw’ page before conversion at the top, and the converted (digitized) rendering at the bottom. Useful to compare original with scan and correct if necessary. You can zoom into the scan to make correction easier; editing the few mistakes you might find uses the same keys as does Sibelius 6 (even Copy and Paste are consistent) – and the same color codes for Voices. The finished (or nearly satisfactory) result can be sent directly to Sibelius as a single action. If you’ve so far worked in PhotoScore, Sibelius will be launched. At this point there are all the necessary options to ensure that what left PhotoScore reaches the Sibelius editing environment in the best possible shape… instrumentation, transposition, House Style etc. If you have a need for inputting printed scores using OCR, PhotoScore Ultimate is a must. The biggest differences between Lite and Ultimate are that the former does not scan the alto clefs, tuplets, shorter note values than one sixteenth, some of the advanced accidentals and text. Ultimate cannot be recommended too highly. Documentation and support from Neuratron are very good. Cons: like Sibelius, PhotoScore Ultimate 6 is on the expensive side; but since it does a specific job outstandingly well, it’s worth the price. AudioScore Lite also comes with Sibelius. It too is a cut down version. But the upgrade to AudioScore Ultimate (version 6.5 was tested here) is very well worth it, although AudioScore has more limitations than does PhotoScore. 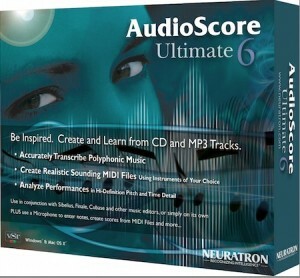 AudioScore Lite with respect to AudioScore Ultimate has similar restrictions in functionality to those of PhotoScore Lite as opposed to Ultimate. Ultimate works with MP3 files, eight clefs, multiple voices and tracks notes shorter than one sixteenth. The process of creating, editing and sending tracks to Sibelius is also similar to that of scanning in and converting printed scores in PhotoScore. With AudioScore, though, it was found to be much more important to offer props (tempo, time signature, instruments and so on). And not expect it to work with multi-voice sources. For the greatest stability and chance of success simple, short, one- or two-instrument music is best. The editing/correction areas of AudioScore have been designed to offer just the right amount of leeway and inbuilt guidance to render the results adequate for import and use in Sibelius. Once again, the process of using AudioScore has been well thought-out, is not unduly complicated, yet has just the right number of options and degree of flexibility. The documentation is very good and end result integrating with Sibelius (when the limitations of source are taken into consideration) very good. As a way to capture live, recorded or externally-originated music, AudioScore is well worth a look. For many seasoned users (those who have immersed themselves in Sibelius as a working tool, those who have traversed the unavoidably long yet slender and completely manageable learning curve) one of Sibelius 6‘s real strengths is the number of third-party plugins which the suite now supports. The best source for plug-ins apart from this page on the Sibelius site is Bob Zowalich’s site. Plug-ins are typically divided into a dozen or so categories. Many are free, though there are also developers with more substantial Sibelius 6 plug-ins for sale. It’s important to check that the plug-in you’re interested in works with Sibelius 6. The functionality of some earlier plug-ins has been incorporated into this latest version. Installation is simple and the results usually exciting, time-saving or both. A number of books, videos and other tutorials exists for Sibelius. While not so extensive as those for Logic, they are of almost uniformly high quality. For example, macProVideo (NonLinear Educating Inc) has a series of 121 such, its “Sibelius 6 101 – Core Sibelius 6”, videos. Only the first dozen were made available for the present review; they were nothing if not thorough. Indeed, each short tutorial concentrated on a small, specific, aspect of Sibelius use. So confined, in fact, that one worries whether even over a hundred short tutorials can carry a demanding user as far as s/he needs to go – particularly when compared with the excellent books available. Support and response from macProVideo was also disappointing. “Learn Sibelius 6 in 1 Hour” is a Kindle edition (accessible also on Kindle for Mac) e-book by James Humberstone (ASIN: B004GKMZ12) which supports his video tutorials; these are free, and available from a variety of sites, including the excellent Sibelius blog by the indefatigable Daniel Spreadbury (Sibelius’ Product Manager). This aside, the few good books on Sibelius 6 are probably the best place to start. This is a substantial book at 460 pages. It’s divided into four sections: Single Staff Parts, Grand Staff and Small Ensemble Scores, Large Ensemble Scores, and Getting the Most our of Sibelius. This is an interesting way for the authors to have done things. 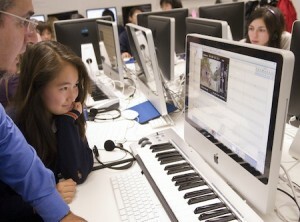 Although many of the techniques which the composer of an orchestral score (which is emphasized in the third section) will want to do (repeats, chords, real-time note entry etc) are dealt with in the first, there are good musical reasons why competence on a small scale (working with single instrumental lines) should precede a novice’s attempts to put together complex arrangements. There is little in the latter which familiarity with former will not markedly advance. The opposite is not true and the authors have adopted an entirely logical and productive sequence. So in this sense, Sibelius A Comprehensive Guide to Sibelius Music Notation Software is more of a tutorial (the authors call it a “method book”) than a reference. Indeed, it’s their stated aim not to try and cover the same ground as that which the Sibelius Reference manual does. This is wise, for what Rudolph and Leonard do very successfully is introduce the functionality of Sibelius in context. The sequence of steps to enter notes, edit them, add dynamics and hear the result played back (each explained with the utmost clarity by the authors, despite describing a multitude of options, menus, dialogs and setups) is highly likely to be the path which a new user will want to take. On the other hand, the book does not depend only (or even largely) on following a single project from start to finish, although some of the chapters take a musical example as the basis on which to promote familiarity with a particular process – the precise way to enter notes using alphabetic input on page 41, for example; or recording Live Tempo in Chapter 5. At the same time, there is enough context and explained purpose at all points for this not to be a series of instructions which the user completes without ever really knowing why. The music context (the most important of all) is always present and obvious. The range of topics handled in Sibelius A Comprehensive Guide to Sibelius Music Notation Software is broad. But there are certain areas not covered. Virtual Instruments, for instance, are not dealt with at length. Rather than shorten the amount of space for each topic – and hence compromise the ease with which readers of the book really do come to understand how Sibelius achieves what it does – the book concentrates on areas that get you working productively with core Sibelius functionality in a very efficient way. Above all, the authors’ experience and expertise in the nuts and bolts of music and sound educational skills mean that this book consistently and effectively furthers your use of Sibelius for what it is – music notation software; and neither a sequencer nor music theory tutorial. Although originally written for an earlier version of Sibelius, this recently-published edition, strictly the second, is fully updated and refers specifically to Sibelius 6. Other good books are “Mastering Sibelius 6” by Gabriel Cobas, published by Course Technology PTR (ISBN-10: 1435456858 ISBN-13: 978-1435456853) – almost 450 pages of closely-packed, well-written and clearly-presented background, semi-tutorial and reference on Sibelius 6. Of similar length and substance and almost as useful (though spoilt by the lack of an index) is Massimo Tofone’s “Street Smart Guide to Sibelius 6” published by Alexander University, Inc. (ISBN-10: 0939067870 ISBN-13: 978-0939067879). Sibelius is so intuitive, so mature, its structure so well laid out, and its menu systems are so logical and intuitive, that some of what these books deal with is, frankly, almost superfluous. The built-in Sibelius Help Reference is thorough and clear. There’s a downloadable version too – and even a somewhat elusive hardcopy version of it. But it’s good to have these other authors’ guide through the software. Given these books’ reasonable prices, though, there is likely to be much that you can gain from having them to hand. Another very useful aid to swift Sibelius use (where the keyboard is preferred over the mouse for speed and ease: try it; it’s true!) are the Sibelius 6 keyboard covers from KB Covers. They’re expensive but well-made, durable, clean, clear and will prove very useful – especially in the early stages of becoming familiar with the many ways around the application. Not at all inhibiting, the cover moulds instantly and extremely cozily to the contours of your entire keyboard. Colors indicate how modifier (Shift, Cmnd, Ctrl etc) keys are to be used. Seven versions are made to fit the variety of Apple keyboards (desktop and laptop) currently available. The same company also sells a replacement keyboard, the actual hardware device itself, which incorporates many (indeed, most common) Sibelius 6 keypresses – though this was not tested. Sibelius 6 has been described as “almost perfect”. It’s certainly as fit for its purpose as any such software currently available. If it has a drawback, that would be the high price. But when you consider the extremely broad range of features which the software supports, and couple with this the fact that not for a minute is the user confused about the ways to achieve what they want to achieve as well as the seemingly endless flexibility with which that happens, that price is neither unrealistic nor disproportionate. This is professional software of analogous status to PhotoShop/Creative Studio, Aperture, Maya or Final Cut etc. In some ways, the requirements of software that so supremely well handles the notation of music, are greater: conventions, requirements, structures, variations and publishers’ and performers’ expectations have developed over almost 1,000 years. What’s more, one of the strengths of writing music in the twenty-first century is the excitement and stimulation that come from incorporating new and evolving praxes. Sibelius adjusts and leads here in ways that nothing else of its kind does. There need be no doubt: Sibelius 6 is the best available in every way.